The Brexit (Britain Exit) vote has had world repercussions. Now the European Union must figure out what to do with political, and especially economic ties with Great Britain. One of the key reasons why so many British voters opted for leaving the European Union was the issue of immigration. Many people in Great Britain felt that immigration was “overwhelming” their country and diluting their “British heritage.” They felt that the European Union was doing little to nothing about the number of immigrants who could and did go to live in Britain, and because many British citizens felt that their own politicians were not heeding the frustrations of the British electorate for tighter immigration laws. 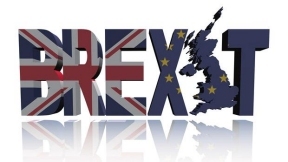 Some in the United States believe that the Brexit vote will have a significant impact on the American electorate, and that someone like Donald Trump who wants a much, much tighter immigration policy might benefit from what happened in Great Britain. I personally doubt it. First, his appeal works with poorly educated white non-Hispanic voters. However, among better educated and more affluent white voters they are not too thrilled about his immigration policy. Second, Trump has to appeal to many other voting blocks in the United States like Latinos, Asian Americans, African Americans and the various different immigrant communities. But one thing that stands out in my mind between the difference of Great Britain on the one hand and the United States on the other is that the United States is an immigrant country and Great Britain is not. True, Great Britain may have sizable immigrant communities, but this does NOT make Great Britain an immigrant country. This has been one of the defining features of the United States from the very beginning. Immigrants and the descendants of immigrants founded the United States, and without immigrants the United States could not be what it is today. Actually, the willingness of many British citizens to leave the European Union had been a growing concern for some time. First, the British people rejected accepting the Euro as their currency. Second, the majority of the British people voted for the Conservative Party in 2013 because it pledged to hold a referendum on whether Great Britain should stay in the European Union or not. That is what happened this year, and clearly a bare majority of British citizens voted to leave the European Union. What will happen now remains to be seen. However, I do not connect Brexit with the United States.